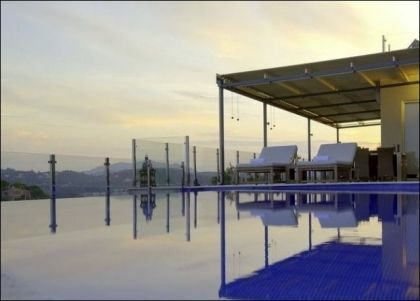 Villa with pool walking distance to the beach for rent in Corfu, Greece. The villa is located in a quiet place very close to the beach and offers sea view and privacy. Ground floor level: One bedroom has a double bed and en-suite bathroom with private veranda. Other bedroom has two single beds and en-suite bathroom also with veranda. Open plan kitchen/living room/dining area lead out to a canopied eating area overlooking the pool and garden. Laundry room has washing machine and iron.